Subaru Outback Review 2019 | What Car? If you look back at some of the most notable people in history, they often went against the norm to achieve greatness. 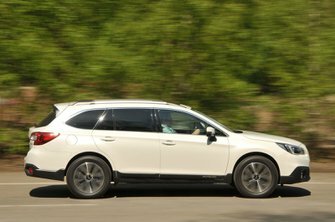 In the world of cars, Subaru hopes you’ll think the same with its Outback – the norm here being the UK’s current penchant for SUVs, the potential greatness being its jacked-up, off-road-focused estate car. Butch estates aren’t quite as niche as they once were, though, because the Outback has competition from rivals such as the Audi A6 Allroad, Mercedes-Benz E-Class All-Terrain, Volvo V90 Cross Country and the Skoda Octavia Scout. 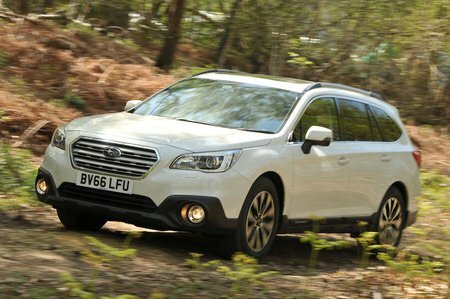 With the Outback, Subaru doesn’t give you much choice: only a 2.5-litre petrol with a CVT automatic gearbox. There’s just two trim levels, too: SE and SE Premium. So, if you’re ready to turn your back on the SUV craze, is the Outback the jacked-up estate car to buy? Find out over the next few pages. And, whichever car you set your heart on in the end, don't do anything else until you've seen our latest deals on our New Car Buying service.